Sorry this event has now expired. But please check out other great events from the best of Hereford. Modou is a member of the famous Cissokho family of Griot musicians and oral historians from the Cassamance region of Southern Senegal. A Griot or 'Jali' is a West African historian, advisor, arbitrator, praise singer, story-teller and entertainer. Essentially these musicians were walking history books, preserving their ancient stories and traditions through song. Their inherited traditions were passed down through the generations. Modou Ndiaye is a virtuoso kora player, vocalist, drummer and percussionist with a superb repertoire of rhythms fusing together traditional and modern beats. He plays a variety of West African instruments ranging from djembe, sabar, calabash and talking drum to his leading instrument –the 22 stringed kora (West African Harp). His music is the perfect balance of beautiful yet powerful harmonies with the gentle yet lively tones of the kora, bass guitar, calabash, djembe and a variety of African percussion instruments, uniting traditional and modern sounds that leave you invigorated and inspired! In 2008, at the request of Brian Elsley, Modou's kora playing featured on the teenage cult series ‘Skins’. 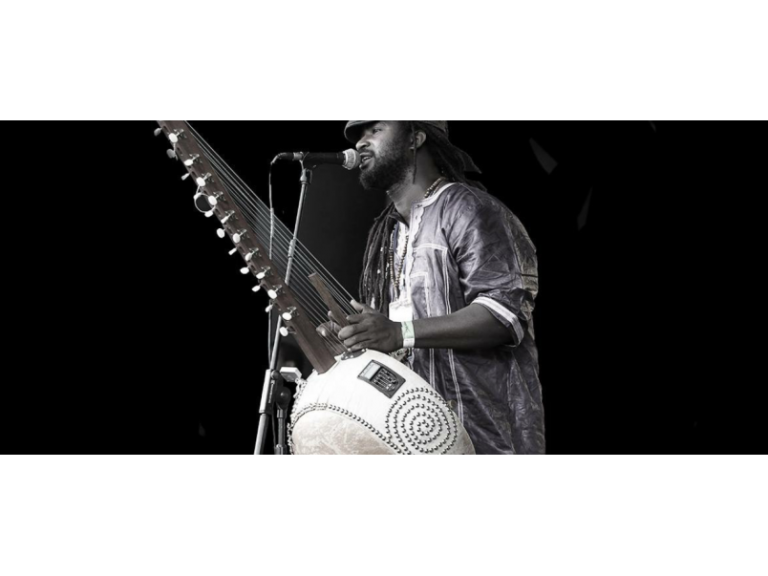 Modou is not only a performing and recording artist, he is also a tutor, teaching Kora and Djembe both here in the UK and internationally at festivals and corporate workshops. Modou has also worked with both ‘Live Music Now’ and ‘Superact’ these are charity based organisations that provide participatory performances, workshops and training events throughout the UK. They deliver music to groups in the community whose access to live music would normally be restricted, such as children with special needs, adults with learning difficulties, older people, hospital and hospice patients, prison inmates and young offenders and refugees. Modou’s dream is spread through his music: the universal language of peace, togetherness, love and understanding across the globe.